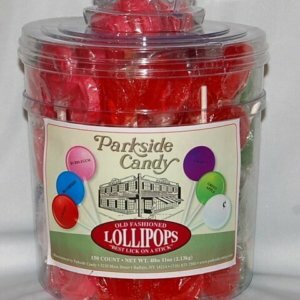 Parkside Candy’s Old Fashion Lollipops. 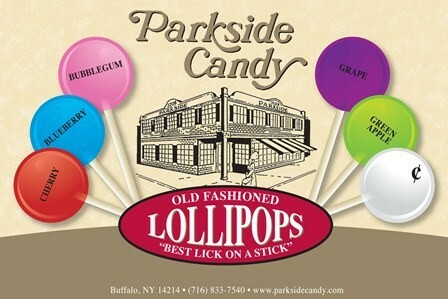 “Best lick on a stick”. 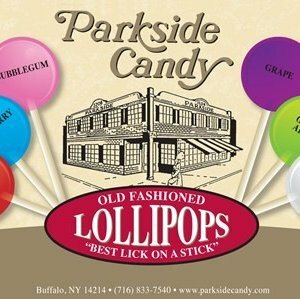 You will receive assorted lollipops in the following flavors, 10 cherry, 10 bubblegum, 10 green apples, 10 blueberry, and 10 grape. Individually wrapped.